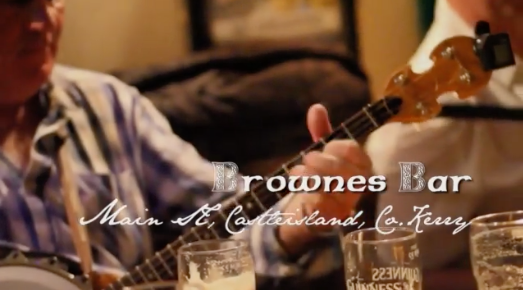 Browne’s Bar is located at 27 Lower Main Street, in the heart of Castleisland town. We are a family run bar with generations of experience in the drinks industry. Browne’s is the perfect place to relax and unwind with friends and also for a quite one to take a break from it all, where you hosts the Browne family and staff will be sure to provide you with a personal greeting and ensure you and yours have an pleasent and enjoyable experience whilst with us. The Bar previously traded as ‘Joe McCarthys’ and An t’Oilean. Teddy McCarthy, son of Joe and Mai (nee Browne) sold the Bar in 2000 to Muiris Ferris of Dingle who the revamped the premises into a large super pub. 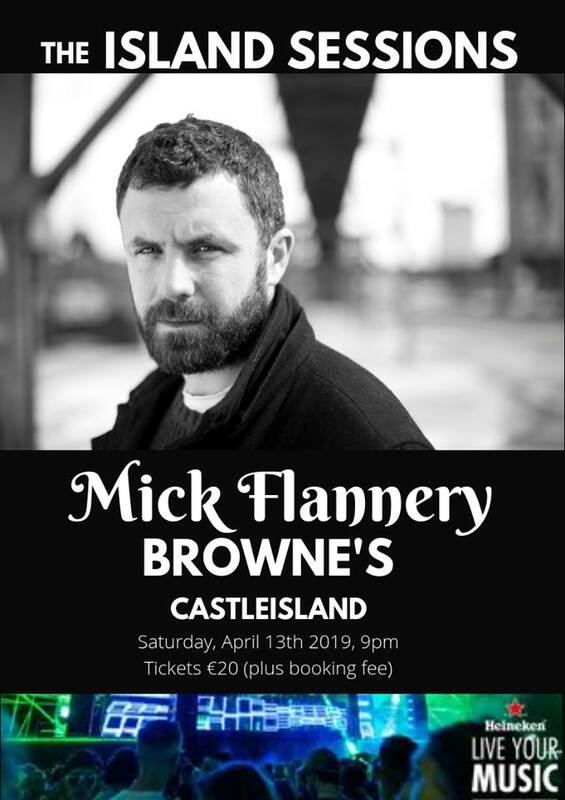 Later on Muiris added a nightclub and subsequently sold the premises to Peter Browne in 2006. On 16th March 2009, Peter reopened the Bar using the original ‘7 Day Ordinary Licence’ which his Gran Aunt had traded with and some of the Goodwill associated with ‘Joe McCarthys’ has come around again. In May 2009 and after deliberated discussions with Mike Kenny, Peter decided to try a traditional music session on Friday nights. Local traditional music enthusiasts were thrilled to have another local session again and from a slow start the session has gained momentum. This is in no small part due to the quality of musicians who ply their trade but also because we do our best to ensure the customer has an enjoyable experience whilst in the Bar. In January 2010 we installed a new fireplace and a large solid fuel stove in the heart of the front bar. The stove has been a great addition to the bar and ensures that it’s always comfortable inside regardless of the elements. Later on in 2010 we painted the interior, put soft furnishings on the built in seats and re-upholstered the chairs and stools. Also the addition of framed photos old and new is now beginning to add some character to the bar. 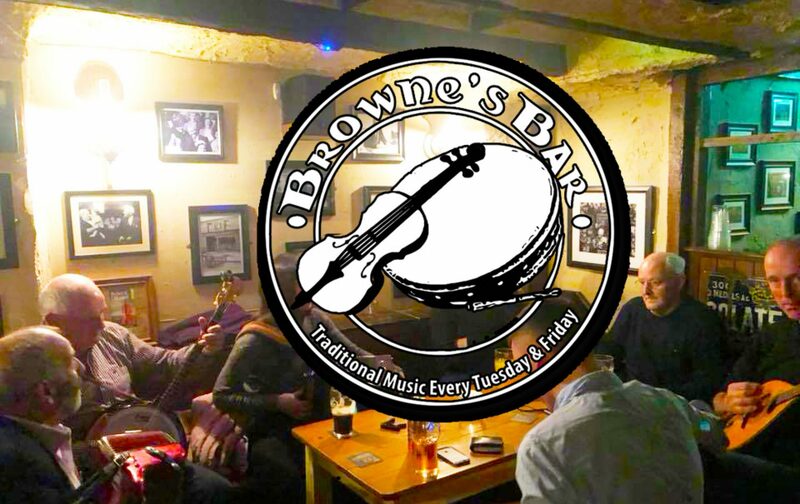 At Brownes Bar, our aim is to ensure that the customers always enjoy themselves, be it at a Friday night trad session, or on a busy Saturday night with friend’s aroud the fire.